A drop-in session for those coping with bereavement, run by St Nicholas Hospice Care, held at the Bell Hotel, in Mildenhall. Mildenhall’s Bereavement Café runs from 10am to midday every Friday. The Café offers is a space where people can talk about the pain of loss and also find courage and strength in knowing they are not alone. You may be more of a talker or better at quietly listening, but that doesn’t matter as the café is intended to be a place where emotions can be expressed freely and stories can be shared. St Nicholas Hospice Care family support practitioner Bianca Neumann-May, who is leading the project, explains: “Losing a loved one can turn your world upside down and make you feel lost. “Talking about how you feel can help. Everyone experiences grief in a unique way. We want the Bereavement Café to be a place where people who have had similar experiences can share their stories. The drop-in is not designed to be a counselling session; it is a supportive environment for reflection and conversation, a place where people will be able to find mutual support and encouragement when they need it most. All sessions will be overseen by Hospice staff and volunteers who will be able to offer further advice and guidance. Please call the Hospice (on 01284 766133) or check the Hospice’s website to make sure that the group is going ahead. 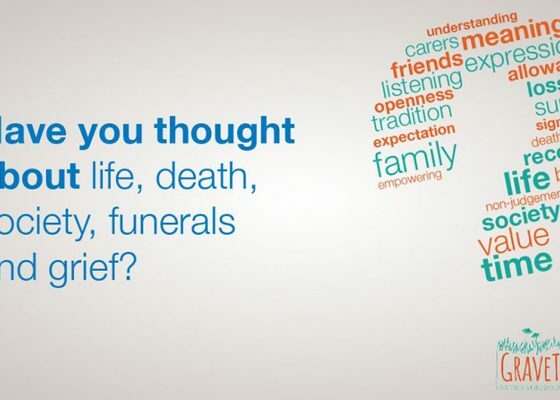 Hear about the experiences of those who have attended the Bereavement Café.